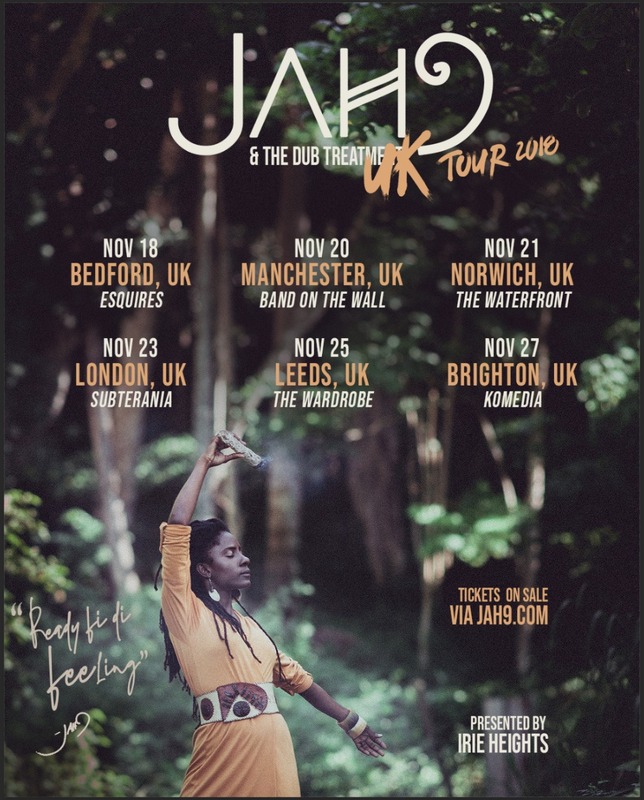 Ahead of her new single “Heaven” (Ready fi Di Feeling) out November 30th on VP Records, Reggae songstress Jah9 will be launching her first ever UK tour. Beginning in Bedford on November 18th, the 6-date tour will also include stops in Manchester, Norwich, London, Leeds and concluding in Brighton on November 27th. This follows her extensive US tour which included a unique combination of her music performance along with her signature Yoga on Dub class.